New Zealand has been under the scrutiny of the camera ever since the first daguerreotypists scrambled ashore with their cameras, copper plates and chemicals during the early 1840s. 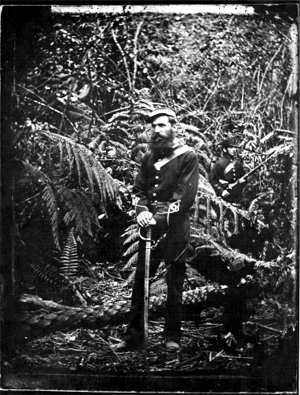 The trickle of daguerreotypes, each an individual reversed image deposited upon a silver copper plate, became a torrent upon the introduction to New Zealand of the wet-plate negative in the late 1850s, and a flood of ever-increasing volume with the subsequent advent of the dry-plate, the film negative and the miniature camera. The steady reduction in exposure times, the miniaturisation and increasing precision of the camera and the liberation of the photographer from the necessity of carrying his darkroom about with him has exposed more and more of our environment and culture to the camera. Regrettably, few photographs from the 1840s and 1850s have survived. The daguerreotype is a fragile image and not easily duplicated. Sufficient remain from the 1860s to the present day, however, for us to recognise the existence of a rugged tradition of New Zealand photography, from Alfred Barker, Alfred and Walter Burton and Daniel Mundy at the beginning, to Ans Westra, Brian Brake and Peter Peryer today. 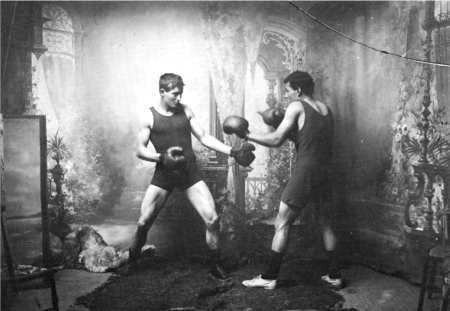 The collection of photographs at the Alexander Turnbull library has been assembled primarily as a working historical collection, and the significance of the image in illuminating the development of New Zealand has been more relevant to us than their status as indicators of the artistic and technical development of photography. As such, the collection is used by historians, ethnologists, publishers, journalists, television producers and those involved in restoration projects to supplement and often substitute for the written record. Photographs must be regarded as historical documents in their own right, and not just as nostalgic illustrations. To this end, the collection is organised as a library, and not as an art gallery. The archival unit is not for us the finished print, but the negative, to which there is no public access and from which a public file print is made. These file prints are arranged in a classified order, the basis of which is geographical although a subject sequence is maintained to cater for portraits, marine photographs and pictures of undetermined localities. library users may search through the files, and duplicates may be made of any file print, to be reproduced as book illustrations, TV stills and posters, or for inclusion in private collections. Photographs may be appreciated on an aesthetic and an informational level and, while an aesthetically pleasing composition may convey absolutely no concrete information to the viewer, it is rare to find a documentary photograph whose virtue is not due in large part to the skill and sensitivity of the photographer. There are very few flukes in photography; and this is reflected in the collections of consistently fine documentary photographs by New Zealand photographers, both professional and amateur, whose works are housed in the Alexander Turnbull Library. Notable among the early photographers is William Harding, who maintained a photographic business in Wanganui from the 1860s to the early 1880s. The citizens of Wanganui who sat in his sparsely furnished studio have been captured with honesty and sensitivity in a large collection of very fine portraits dating from the 1870s and 1880s. 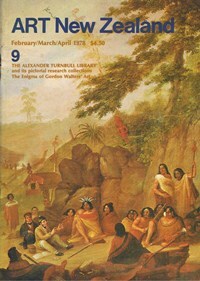 His work was paralleled in Hawke's Bay by Samuel Carnell, one of the few who treated the Maori as a person rather than as a source of postcard material. He allowed his camera to move up closer to his subjects than did his New Zealand contemporaries, and the result is a collection of powerful portraits of the Maori of the East Coast and Hawkes Bay from the 1870s and 1880s. Recorders of New Zealand's changing town and countryside have been active from the introduction of the medium to New Zealand; and there have been few more conscientious workers in this field than S.C. Smith, a Wellington professional who opened his Riddiford Street, Newtown studio in the early 1900s and was still active in 1958. Smith has left us an intimate record of life in Wellington during the first two decades of the century. 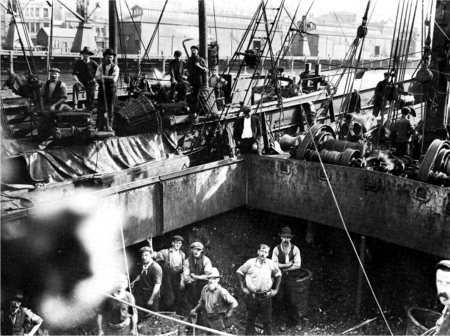 His gritty approach to documentary photography is well illustrated in his photograph of a collier in Wellington Harbour in the early years of this century. The photograph is an historical document of the first order. It transmits information inexpressible by any other medium; no painter could have captured so well the intricate detail of rigging and tackle. The strength of this image lies deeper than the mere recording of detail however. It possesses such a sense of immediacy that the viewer seems to be transported on to the deck alongside the crew. John Sullivan is in charge of the Alexander Turnbull Library Photograph Section. After gaining his New Zealand Library School Diploma he worked for three years in the New Zealand Department of the Auckland Public Library.